Nintendo yesterday released two new Wii Virtual Console games, the first being Kirby 64: The Crystal Shards and the second, Psychosis. Both are available to purchase off of the Wii Shop at Home Channel. Kirby 64: The Crystal Shards: (Nintendo 64, 1-4 players, Rated E for Everyone, 1,000 Wii Points): Kirby’s first 3-D adventure is also his Nintendo 64 debut, and it finds the always-versatile hero battling a new enemy called Dark Matter. Dark Matter is after a distant land’s powerful crystal, but a young fairy named Ribbon attempts to save it by escaping with the gem to Dream Land. Now the crystal has been broken, and it’s scattered around the world. Take control of Kirby and help him journey across six worlds, battling a wide variety of enemies and challenging bosses, as he tries to collect all 100 pieces of the shattered crystal. Along the way, you’ll use Kirby’s trademark copying ability to use enemies’ strengths against them. Not only that, but try combining any two abilities to create a brand-new one that is usually stronger than the original. Throw in three exciting multiplayer minigames, and you’ve got a package of which even King Dedede would be proud. Fans of Kirby and action games with bright, colorful graphics should vacuum this one up. 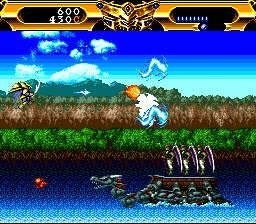 Psychosis: (TurboGrafx16, 1 player, Rated E for Everyone â€“ Mild Fantasy Violence, 600 Wii Points): This is a side-scrolling shooter played in a world created from the mind of a twisted demon. Your soul has suddenly wandered into that evil world that exists in every person’s heart. The only way out is to blast your way past the grotesque creatures that block your path in five “causes” (stages). You must face the dangers of this psychedelic world by making full use of three shot types and the satellite option. With power-ups, you can change your shots to a wide-coverage beam, a satellite-generated laser and more. Each shot type can be powered up to three levels. You can also block enemy fire by rotating the satellites to a desired position. How you use these features will be the key to successfully escaping this strange and surreal world. Posted on February 18, 2008 by MASA. Two new games are on the Wii Virtual Console and they are Ninja Gaiden III: The Ancient Ship of Doom and Phantasy Star II. Ninja Gaiden III: The Ancient Ship of Doom: (NES, 1 player, Rated E for Everyone – Mild Violence, 500 Wii Points): Join master ninja Ryu Hayabusa, last member of the famous Dragon Clan, in the third and final chapter of the legendary Ninja Gaiden saga. Ryu is framed for FBI agent Irene Lew’s murder, and it’s up to him to clear his name. Defeating superior life-forms created out of “life energy” called BIO-NOIDs and avoiding enemy ambushes are among the many obstacles which Ryu faces in this unpredictable adventure of mystery, deceit and destruction. Noticeable changes to the game-play mechanics include Ryu’s ability to grab on to horizontal surfaces, his reduced falling speed and altered jumping maneuvers, and visible power-ups. Help Ryu defeat the forces of evil once more and discover the real culprit behind Irene’s death as one of the most loved trilogies in video-game history comes to a close. Phantasy Star II: (Sega Genesis, 1 player, Rated E for Everyone – Mild Animated Violence, 800 Wii Points): Hailed as one of the greatest games of all time by fans and media alike, Phantasy Star II is an RPG that features an epic story line and turn-based battles. Play as Rolf, Nei, Rudo or several other characters as you navigate through the Algol star system battling the evil Dark Force. Build your characters, select the right weapons and armor, and take on the forces of evil through various missions as you find the right combination of characters to complete each objective. Experience the magic once again in this great sequel. Posted on February 11, 2008 by MASA. Today, Nintendo released two new games to the ever-growing list of Virtual Console Titles. The two new titles are Harvest Moon from the SNES and Lords of Thunder from the TurboGrafx-16. Harvest Moon is quite a surprise. I didn’t think Natsume was going to putting any old titles onto the Virtual console and Natsume is normally a rare name to hear in the news (with the exception of Omega Five). 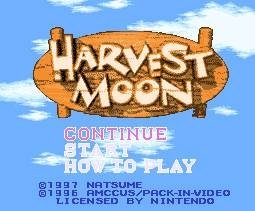 I am not a big fan of Simulation games, but Harvest Moon is one game that I think is pretty good. For people who have never played it, it’s a lot like Animal Crossing (except you can get married and you work on a farm [and more realistic events can happen]). Though the one main difference gamers will see (other than the difference in graphics) is the fact it doesn’t use a real time clock. The other game, Lords of Thunder, is a sidescrolling shooter which was pretty advanced for its time (which you can tell just by looking at it). I’ve never gotten to play it before, so I really can’t say much. A side-scrolling shooter that has you take on the role of a legendary warrior, blasting enemies to heavy-metal tunes. Your enemies are plotting to revive Zaggart, “The Dark One,” who was sealed beneath the six continents of Mistral. It’s up to Landis, descendant of the heroic Dyu, to stop them. Choose the order in which to attack the six stages. Before each stage, select one of four magic armors and use crystals you’ve collected during your battles to buy items. Selecting the right armor for each stage is the key to your ultimate victory. Then get ready to face awesome enemies like a fire-spewing sea serpent or a giant insect. Whether it’s the fast-paced shooting or breaking into the fortress of a stage boss, you’ll be blown away by the intensity of Lords of Thunder. Both games are rated E for Everyone and are priced at 800 Points. This week’s Virtual Titles include the ADVENTURES OF LOLO 2 and SUPER STREET FIGHTER II: THE NEW CHALLENGERS. The Adventures of Lolo? I hope you saved the receipt. Comments Off on Original Titles to include Burnout 3, Golden Eye to Live Arcade?